Working together, will have you connecting, laughing and delighting in the process that is manufacturing your very own quality beauty products. Walk away with a lovely bundle of organic skincare, including the recipes and the knowledge to recreate them with confidence and ease. Deepen your understanding of skincare products, their ingredients and how organic plants are bottled for your health and beauty. 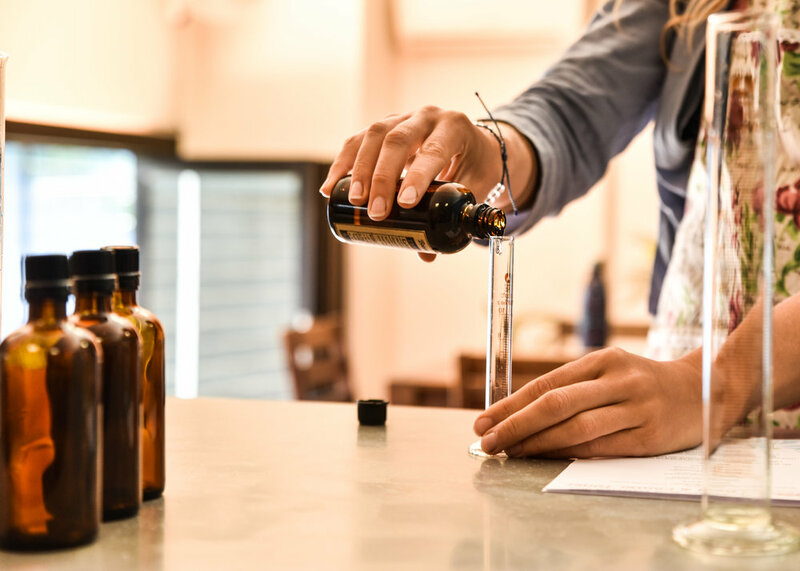 Amanda Smith is your local skincare alchemist, sharing her wealth of experience in herbal horticulture, herbal medicine and organic skincare manufacturing. Her passion is to empower others by deepening the understanding of a herb gardens potential. And its place in creating the products we turn to for health and wellness.